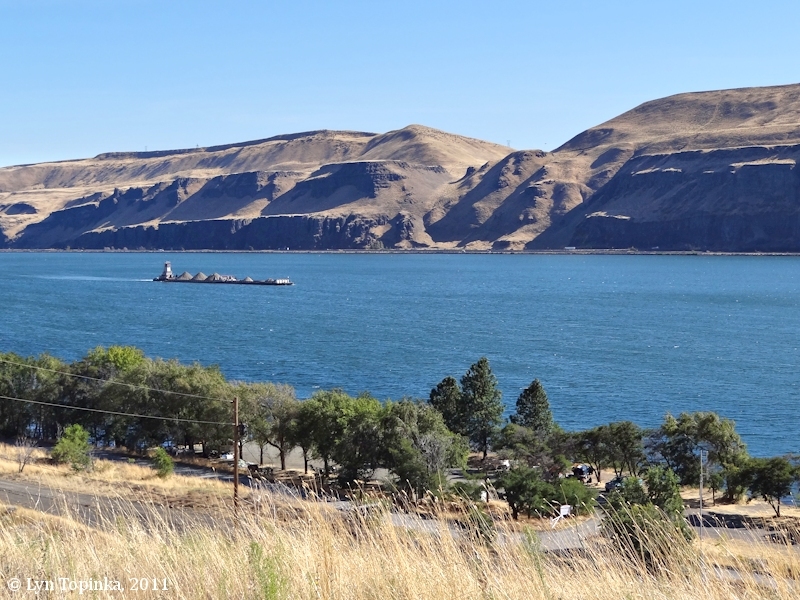 "Avery and Avery Park, Washington"
Click image to enlarge Avery Park, Washington, and Fairbanks Water Gap, Oregon. Image taken September 28, 2011. 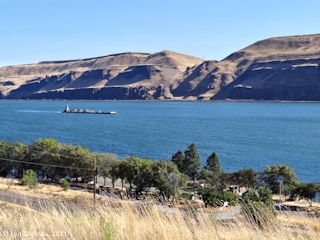 Avery Park is located on the Washington side of the Columbia River at River Mile (RM) 199, downstream of Wishram and upstream of Browns Island and Horsethief Butte. The community of Avery is located inland nearby. Fairbanks Water Gap, a Missoula Floods Water Gap, is located across the river. Good views of Avery Park and Fairbanks Water Gap can be seen from a turnout on Washington State Highway 14. Avery was named by the officials of the Spokane, Portland & Seattle Railway for A.G. Avery, their right-of-way attorney.